THE LABOUR Rights Promotion Network Foundation (LPN) and Charoen Pokphand Foods Plc (CPF) have recently teamed up to promote protection of labour rights and encourage CPF's workforce, especially migrant workers, to report wrongdoings through the company's hotline. A lot of effort has been made by Thailand to tackle migrant worker abuse and human trafficking in recent years. However, many workers are still afraid to come forward and many are unaware of their rights and benefits. 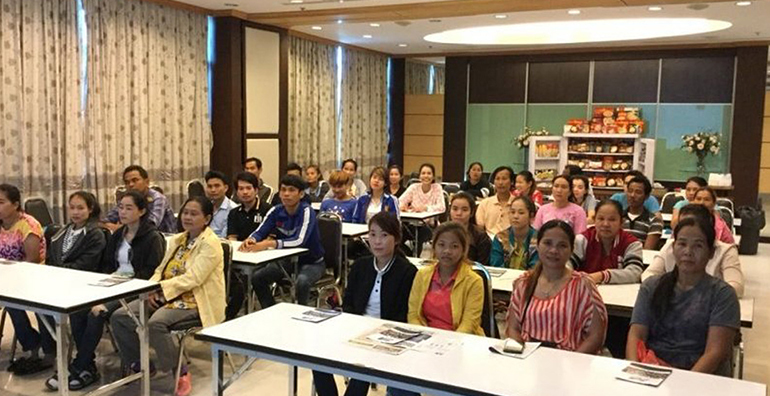 Using 20 years of experience in the Thai labour sector, LPN has established a training course to help CPF's employees understand their rights and use the Labour Voices Centre, a grievance channel established in 2017. Sompong Srakaew, director and founder of LPN, said a third-party hotline is a crucial mechanism to protect the reputation of Thailand’s food industry. It creates trust and confidence in the company’s grievance mechanism, as the workers are more comfortable to speak out to an independent organisation than report to their employer. “The whistle-blowing hotline is an independent channel that will enable the business sector to truly recognise the concerns of the workforce and deliver solutions in line with human rights practices. Consequently, workers from the network monitor human rights violations at the workplace and cultivate a strong whistle-blowing culture. “This project is a role model for cooperation between an NGO and the private sector to uplift the quality of life for both domestic and migrant workers. It gives us a sustainable solution for labour rights issues in Southeast Asia,” Sompong added. LPN is reaching out to the employees of CPF, including 10,000 migrant workers, and provides guidance on labour rights practices to the company. This helps the food conglomerate to significantly mitigate risks related to its workforce. 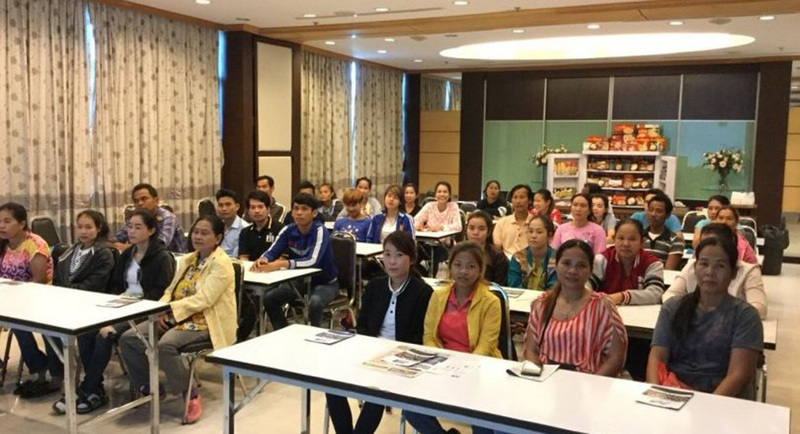 Vanna May, Cambodian translator at the Nakhon Ratchasima chicken-processing plant, said the 4,000-strong Cambodian workforce at the plant is aware of the “Labour Voice” channel. They are also pleased that LPN provides officers who are able to speak their native language. Zaw Min Tai, a Myanmar employee at the Minburi chicken-processing plant, added that even though all workers are informed about their rights through company training, LPN’s employees give them useful advice and clarification on their rights. Tan Tan Mon, who also worked at the Minburi plant, praised the company for equal labour treatment regardless of nationality, which helps everyone to have confidence in the company and the grievance system.